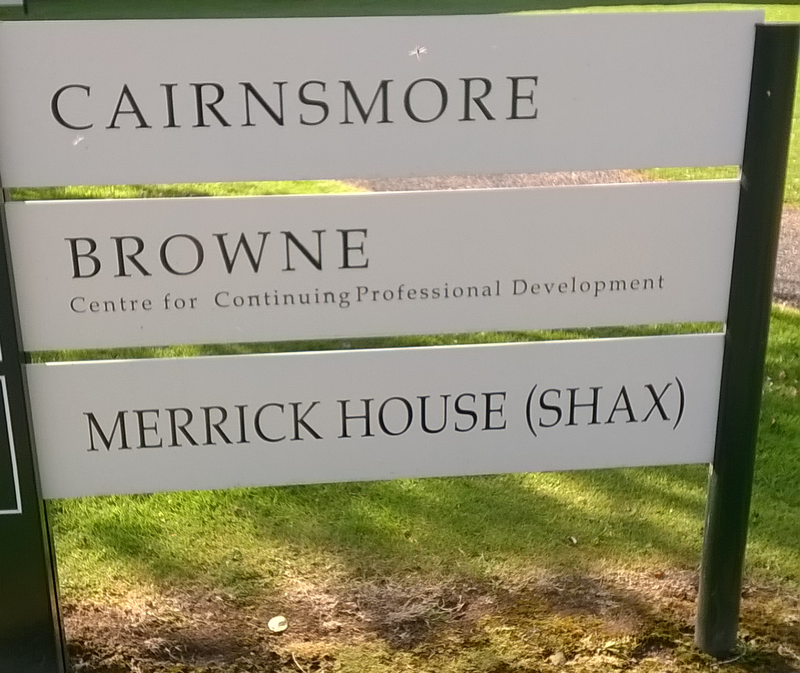 SHAX, Merrick House, Bankend Road, The Crichton, Dumfries DG1 4TA. Second road on the left past the Easterbrook Hall. 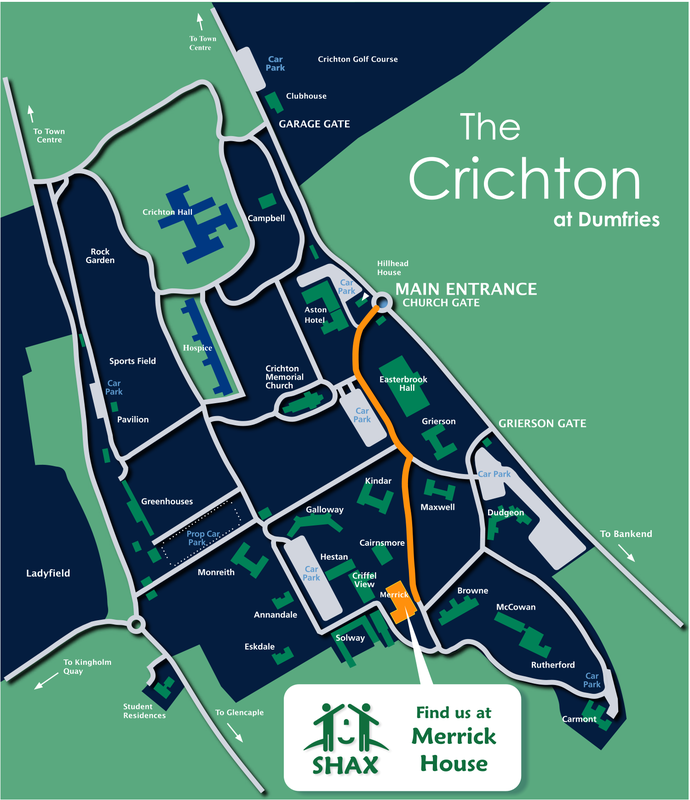 If you’re driving, take the second exit on the right past the Easterbrook Hall – see sign below – SHAX is just down the hill on the right hand side, with parking out front.